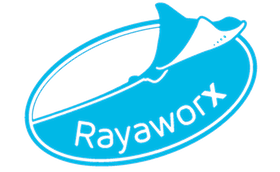 Since Rayaworx' first anniversary we talk regularly about 'making something new' and/or 'making something in a new way'. In this open event, participants gather, build an agenda with topics they like to discuss – and start talking (lean coffee format see leancoffee.org). If you want to be part of it, talk to us! We offer workshops on topics such as Mac computers, internet and social media on request. If you’re based here in the South East of Mallorca, you do not need to go to Palma. Get in contact with us! You are welcomed to recommend our events on Facebook, Google, or Meetup – if you click on "interested" on a facebook event page, you show your contacts that our event is valuable. ☀ Mallorca Startups Meetup (Palma) "Mixed Reality / Personal Growth"